Rapper, singer, and the first lady of Lil Yachty’s “Sailing Team,” Kodie Shane was no stranger to the world of music growing up. Her older sister Brandi was a member of 90’s R&B girl group Blaque, which her mother helped develop, and she went on tour with them as a baby. As she grew older, Shane began to create music, recording her first track at fourteen and writing for an Atlanta-based group just a year later. Kodie Shane dropped her debut EP 2060 in 2016, following up with Little Rocket and Zero Gravity later that year. 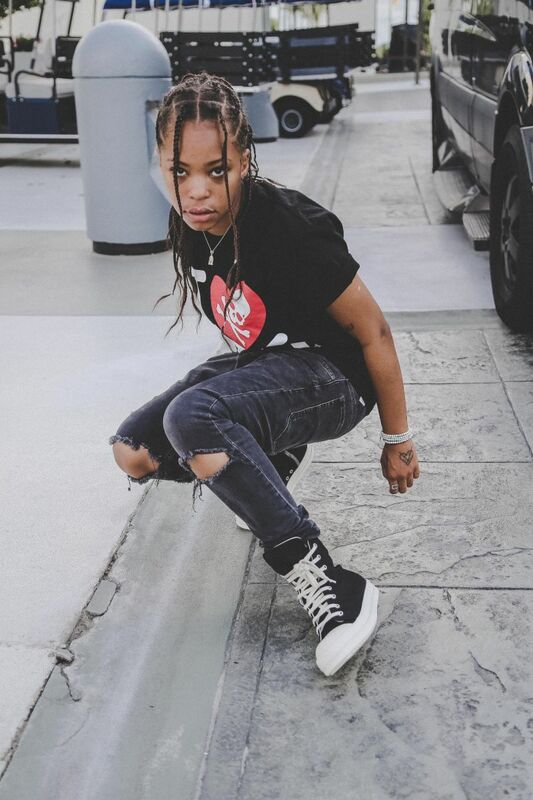 In 2017, Kodie Shane released her Big Trouble Little Jupiter EP, months later making her studio album debut with Back From The Future and embarking on tours with Lil Yachty and Jhene Aiko.